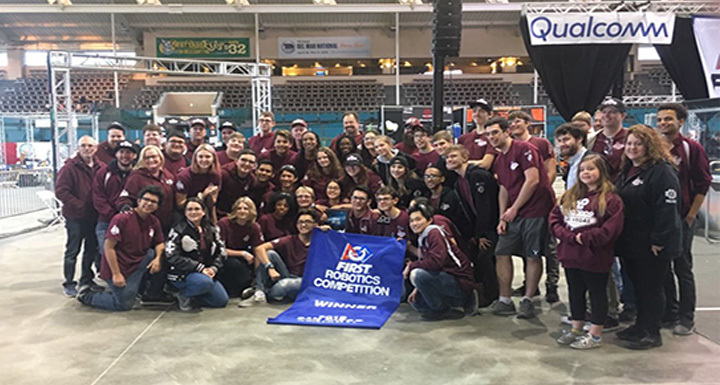 Team 987 – The High Rollers from Cimarron-Memorial High School won the FIRST Robotics Regional Tournament in San Diego March 8th – 10th. They competed with 42 other teams from across the world. Their next Regional competition is in Las Vegas at the Thomas and Mack Center at the University of Nevada, Las Vegas (UNLV), March 27th – 30th.